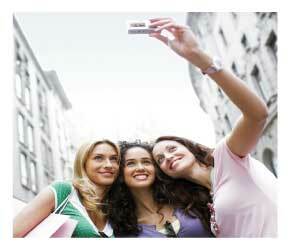 Whether it's a weekday or a weekend, every woman needs a vacation with the girls…. Whether you're looking to spend time with a girlfriend, your mother, your daughter or your sister, book the new Shop and Stay Package at The Thayer Hotel at West Point – the perfect perch for a vacation shopping spree at the premier Woodbury Commons Premium Outlets. Located minutes from the famous discount center that boasts a huge roster of designer retailers, our brand new Shop and Stay Package includes breakfast at the famous McArthur's Riverview Restaurant, transportation to and from the shopping haven, a cache of discount coupons and a Thayer Hotel signature eco-friendly shopping tote. After a full-day of shopping, you and your girlfriend will raise toast to your savings with a complimentary bottle of champagne at our brand new Zulu Time Rooftop Lounge. Located in the heart of Hudson Valley, the Thayer Hotel offers ladies a chance to stay within the boundaries of the United States Military Academy at West Point. You and your girlfriends will gaze (or gawk!) at the Cadets in training and take a complimentary tour of West Point to get up close and personal with the future leaders of America. · Exclusive Deals for NYC Shoppers: All of the above plus a ride to and from Manhattan to Woodbury Commons via Hampton Luxury Liner Includes transfers to and from Woodbury Common and The Thayer Hotel. Additional charge: $75.